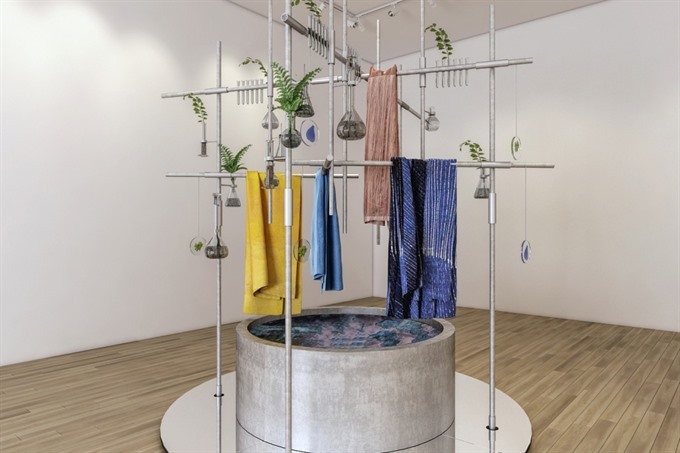 HCM CITY — Three Vietnamese artists are showing their work at the London Design Biennale 2018 which began in London on Tuesday. Fashion designer Thảo Vũ is displaying her latest collection of clothing in Vietnamese silk. Her works feature traditional weaving done by artisans living in remote provinces. Graphic designer Giang Nguyễn is showing her paintings featuring script fonts, while visual artist and video jockey Lê Thanh Tùng depicts messages about modern life in multimedia works. The artists were invited by the event’s English curator Claire Driscoll. The London Design Biennale 2018, with the theme of Emotional States, has attracted dozens of artists in different fields from 40 countries and territories. The organisers encouraged participants to depict ideas about sustainable development, migration, pollution and energy.